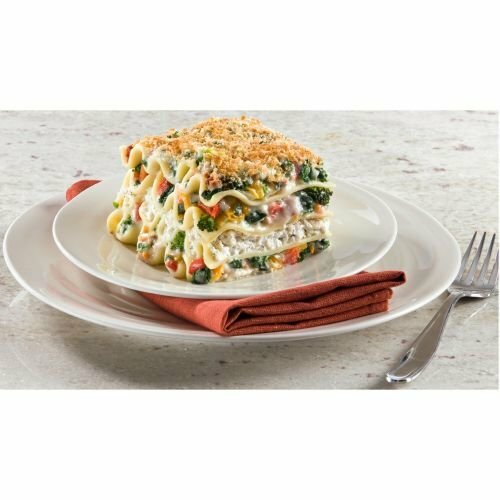 Conagra Healthy Choice Vegetable Lasagna, 96 Ounce -- 4 per case. Conagra Healthy Choice Vegetable Lasagna, 96 Ounce -- 4 per case. Our tender, al dente lasagna noodles are tossed with fresh basil and paired with a traditional meat sauce made with diced tomatoes, garlic, oregano, mozzarella cheese, and crumbled beef and pork. This light and satisfying meal is complemented with a full serving of broccoli and carrots. If you have any questions about this product by ConAgra, contact us by completing and submitting the form below. If you are looking for a specif part number, please include it with your message.